Shrimp and Grits are a signature Southern dish and, in my book, you can never go wrong by ordering it at a restaurant. 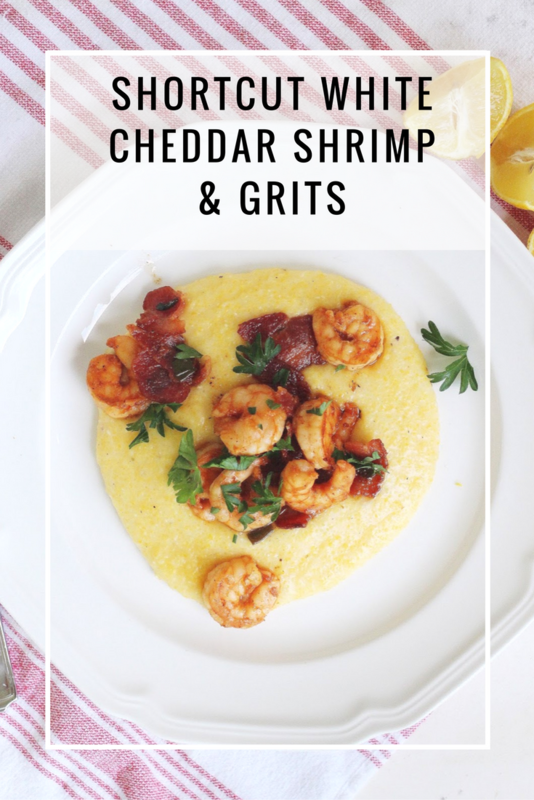 My husband fell in love with shrimp and grits while we were dating and in an effort to win him over, I whipped the dish up a time or two (oh, to be young again!). My recipe is insanely easy, includes one million short cuts and lets the white cheddar grits shine as the star of the show. 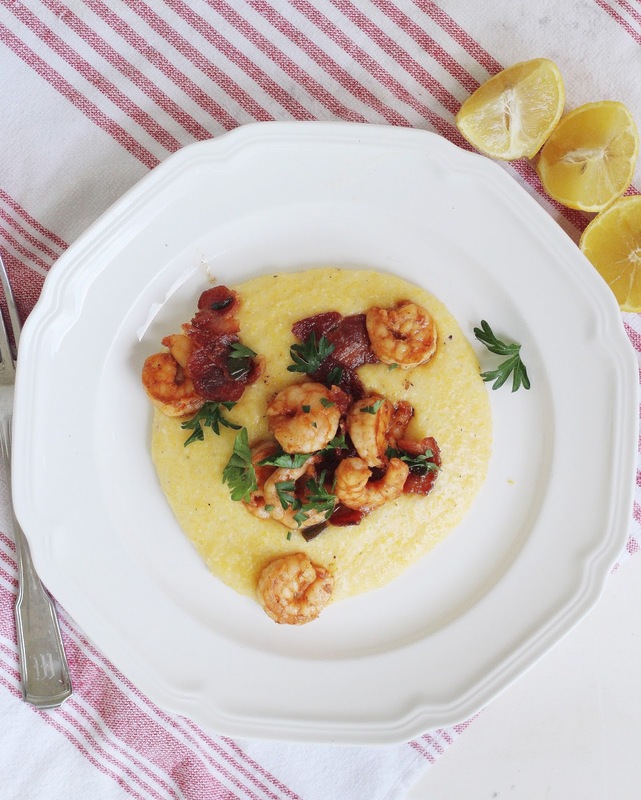 Plate the grits, add a healthy spoonful of the bacon and shrimp mixture, garnish with fresh parsley and a squeeze of fresh lemon juice. The longest part of the process is waiting for the water to boil for the grits - it's just that easy and that good! If you don't want to use pre-marinated shrimp, add a little garlic and a little Old Bay to the pan as the shrimp are cooking in the bacon grease, that should do the trick! Adapted somewhat from this recipe. Shrimp & Cheese Grits are my all time favorite meal. I am literally salivating right now, LOL!! Oh my WORD. This looks delicious!! This looks delicious, Stephanie! Pinned it and can't wait to try it! so scrumptious!!!!! I am going to have to try this!!!! Ohh I love grits!! I will definitely be trying this! !